Residents whose homes neighbor Brick Memorial High School have, once again, called police to complain about the Brick Memorial Marching Mustangs band practice, reigniting – at least for one day – a controversy that received a great deal of media attention earlier this fall. Parents and school officials confirmed that the band’s practice on Sunday was shut down by police officers after the band began practicing outside the hours of a suspension of the township’s noise ordinance that was passed earlier this year. The exception was passed after neighbors complained that the band’s evening practices were too loud and ran too late. Ultimately, the township council decided to suspend the noise ordinance for a number of specific practice and competition dates and times in order to let the band practice without the threat of a noise ordinance violation. The latest complaints were called in to township police after the band began practicing at about 9:30 a.m., Superintendent Dr. Walter Uszenski said. The ordinance authorized the band to practice only after 12 noon, he said, but the band was likely trying to get in some extra practice after inclement weather on Saturday. 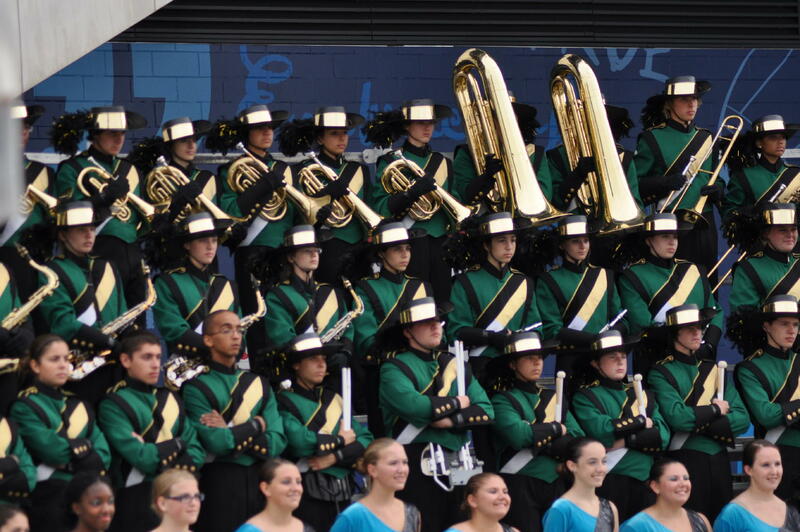 The band participated in a competition in Hershey, Pa. later in the day Sunday. Uszenski, who described the Marching Mustangs as “phenomenal,” said the earlier practice probably would have been accommodated had the band director notified him of the change, and township officials could have been briefed on the situation. “The council gave us the open invitation of saying, ‘if something comes up, bring it to us so we can amend the times,'” he said. Uszenski said he didn’t learn about the incident until about 12 noon on Sunday, when he received a call from the police department. Police Chief Nils R. Bergquist directed questions on the matter to the school district. The identity of the neighbor or neighbors who have complained have not been publicly released, but Uszenski said earlier this year that in September, the people who called police have long had an issue with the volume level of the band’s practices. As for the Marching Mustangs, the band barely missed a first place showing in the competition. 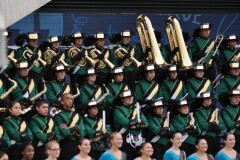 According to scores posted on the Tournament of Bands website, Brick Memorial scored 96.25 points, for a third place finish. Southern Regional scored 96.70 points and West Deptford scored 96.75 points.